Prime Minister Dr Keith Rowley inspects the teams at the PNM Sports and Family Day at Edinburgh 500 Recreation Ground, Chaguanas on August 12. Rowley announced he will contest the party elections with a slate of candidates. PHOTO BY ANIL RAMPERSAD. Former social development minister Mustapha Abdul-Hamid is considering contesting the post of chairman of the People’s National Movement (PNM) in the internal executive election, party sources have said. As the battle for the September 30 poll heats up, Sunday Newsday learnt that former minister in the Ministry of Finance Mariano Browne is considering the position of vice-chairman while attorney Ronald Boynes is said to be contemplating the posts of public relations officer or assistant general secretary. Sources said Abigail Cox, a former secretary to late prime minister Patrick Manning, is also looking at the post of assistant general secretary while Manning’s nephew, Chinua Alleyene, has expressed an interest in the position of youth officer. Eber Steele, who works in the insurance industry, is said to be considering the position of operations officer. Sources said the potential hopefuls have not indicated whether they would contest the positions as independents or members of particular slates. 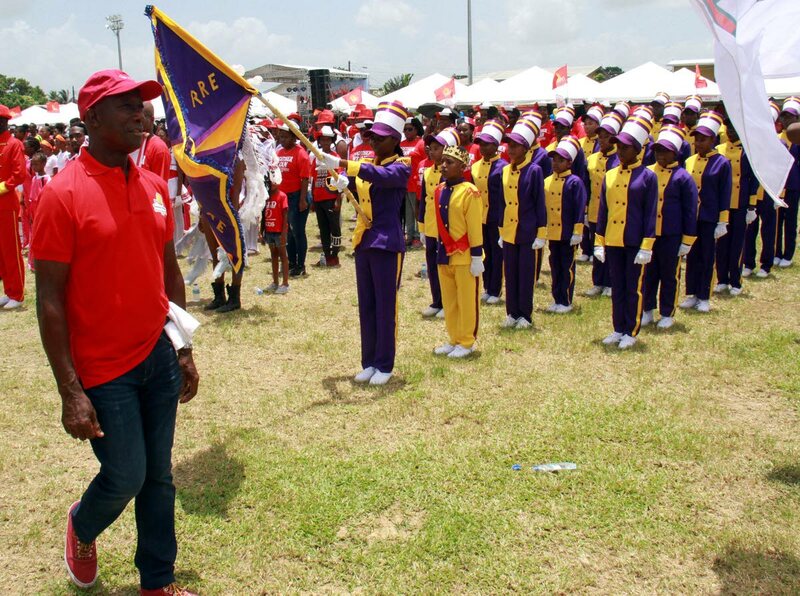 At the PNM’s Sports and Family Day, last Sunday, Prime Minister Dr Keith Rowley announced he was fielding his own slate of candidates but did not reveal any names at the time. However, sources said several people on the party’s current executive are likely to seek re-election, including Franklin Khan (chairman), Colm Imbert (vice-chairman), Camille Robinson-Regis (lady vice-chairman), Stuart Young (PRO). Sunday Newsday learnt that Abdul-Hamid, a former Chaguanas East MP, drawing from feedback he has received, is deeply concerned about the direction in which the party is heading. “He feels that the principles of the party are lost and that the PNM was no longer connected with its rank and file, the people who walked the streets to get the votes and made sure the PNM won the election. They have been forgotten,” one source said of Abdul-Hamid, adding the former minister has been in “serious talks” with members in various constituencies. There is also a prevailing sentiment that members of the existing executive, several of whom are ministers, were not addressing party matters effectively, another source added. Mustapha-Hamid was given the portfolio of minister of state in the ministry of science, technology and tertiary education in the Manning administration between 2001 and 2002. He later served as minster of social development and gender affairs, minister of science, technology and tertiary education and minister of public utilities. Abdul-Hamid could not be reached for comment yesterday. Boynes, brother of former PNM sport minister Roger Boynes, is a former chairman of the Sangre Grande Regional Corporation. He had contested unsuccessfully the position of general secretary on the Pennelope Beckles-Robinson slate in the 2014 internal election. Alleyne was rejected as the PNM’s candidate for the Port of Spain North/St Ann’s West seat, ahead of the September 2015 general election. Attorney Stuart Young, now Minister of National Security, got the nod. In other developments, Linus Rogers and Point Fortin Mayor Abdon Mason are said to be in the running for the position of election officer while Nal Ramsingh is seeking to contest the field officer post. Alderman Irene Hinds, of the Diego Martin Regional Corporation, is hoping to retain her position as operations officer while Foster Cummings and Daniel Dookie, the party’s assistant general secretary, are said to be in the running for general secretary. Dookie, has been acting as general secretary since Ashton Fords’s abrupt resignation in February 2017. Ford is now chairman of the Community Environmental Protection and Enhancement Programme (CEPEP). Prospective candidates can confirm their nominations between November 3 and 7. Acting Attorney General Fitzgerald Hinds announced at yesterday’s post-general council news conference that the change in the date of the internal election, from September 16 to 30, was ratified at the meeting. He said persons in good standing in the party were eligible to contest seats on the executive. Reply to "‘Manning ministers’ ponder PNM race"